Nadia Jamil is College Lecturer in Arabic at St Benet s Hall and St Peter s College ; and Senior Instructor in Classical and Modern Standard Arabic at the Faculty of Oriental Studies, University of Oxford. Her principal research interests are early Arabic poetry and the transformation of ideas from the J hiliyya to Islam ; poetical figures in the Qur an ; poetry and religio-political authority in the Umayyad era ; poetry and image in early Islamic material culture ; ’Middle Arabic’ grammar and the language of the Norman Sicilian Arabic documents. The poetry of pre-Islamic Arabia is a neglected tessera in the mosaic of Late Antiquity. 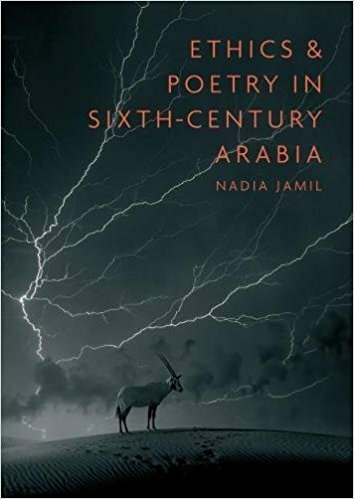 It is the only literary corpus of that time that embodies the voices of the Arabs, and is, thus, a critical complementary resource for understanding the history not only of Arabian poetry, but also of Arabian ethos and ideology. Yet, as such, it remains little exploited for reasons large among which loom the question of authenticity , belief in the myth of the empty Hijaz , and indefensible assumptions of a primitivity that precludes self-awareness and abstract thought, let alone anything truly ethical or religious. By adopting a transparent approach that addresses these negative assumptions and more, this study demonstrates what is implicit in its title : that the ethics and poetry of sixth-century Arabia are an inseparable equation. Offering, first, a critical overview of key figures from the last hundred years from Goldziher to Izutsu who have substantially exploited this corpus to advance views on early Arabian ethos and religion, and, then, an analytic survey of recent major approaches to interpreting its meanings and forms, the study proceeds to a graded semantic analysis of select poems to build a vocabulary that elucidates both the mechanisms of the poetry s content and structure, and its profoundly psychological character. The poetry emerges as a stylized, common discourse, based in an organicist system of ethics that exploits concepts of gender, health and commerce, to reflect a distinct cosmology : one where the heart and body of the individual man is the micro-universe of a greater macrocosm. Weighed against the revolutionary vision of the Qur an, the language and figures of this world-view allow us to observe seminal details of a transformation that recasts a universe governed by chance, where virtue is to gamble communal resources to purchase life for generations to come, as a quasi-commercial investment of belief and striving, which may purchase life in a world hereafter.